The results of a survey conducted by WWF-Hong Kong reveals that nearly 80% of respondents support regulation of single-use plastic tableware in the F&B industry. 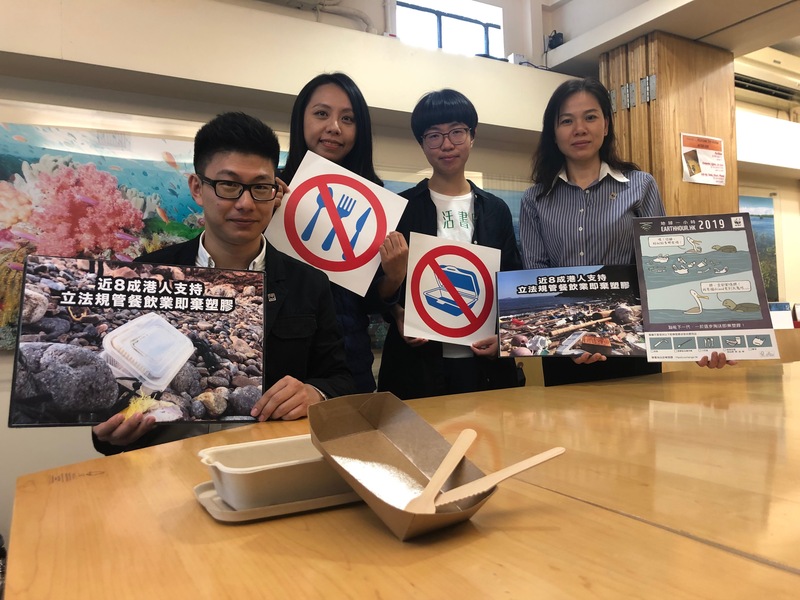 Conducted between November 2018 and February 2019, the survey asked more than 3,000 people across 10 districts how they react to dining outlets that offer single-use plastic tableware, the frequency with which they bring their own utensils and how they feel about statutory regulation of disposable plastic tableware. Interviews with restaurants operators and a pilot scheme jointly launched with non-profit organisation School of Everyday Life was undertaken to formulate possible solutions to tackling disposable plastic tableware. The results of the survey show that 76% of respondents have previously refused single-use plastics when purchasing take-away and over 60% of respondents have previously avoided restaurants that serve disposable plastic tableware. This shows growing support in Hong Kong for addressing the disposable plastics crisis and preserving the ecological health of our marine environment. It’s time for the government to formulate a workable timeline for the F&B industry to phase-out single-use plastics and work with the industry to ensure a smooth transition that is a win-win for all parties.